This is just more than an oversized backpack. The Venum Challenger Xtreme Backpack is a fully convertible equipment bag! Transforming from backpack to duffle bag, you can carry away all your gear, big or small! The mesh panels provide great ventilation, keeping your gear fresh and far from the growth of odor-causing microbes. The insulated side cooler pocket keeps your beverages cool for a refreshing reward after an intense training session. The extra storage pockets are each more useful than the others. The upper micro-fleece pocket provides protection to your most valuable items. The front storage lacing system and the adjustable tightening straps allow you to adjust your bag to its content and keeps your things tight in place. Padded backing and air-mesh fabric were added for ultimate support. With adjustable foam-filled shoulder straps, makes carrying items varying from heavy books to training gear, more comfortable; keeping all the stress off your shoulders and your back. The Venum Challenger Xtreme Backpack will take you beyond the next level. Our “Impact” MMA gloves are Handmade in Thailand. Main difference with the “Undisputed” MMA gloves is the material used, which is Skintex, an high grade synthetic leather. At least, the overall quality is just amazing and you’ll be seduced by the classy design and the handmade finish! The Venum “Kontact Evo” foot grips are designed to enhance your footwork speed and agility by improving your ground bearing. Thanks to their 3D embossed grip, these technical foot grips will help you to increase your takedown and sprawl techniques with unmatched mat traction. More stable, you will be able to deploy all your power with strong and dynamic kicks. Featuring slip-on design, the Venum “Kontact Evo” foot grips ensure a perfect coverage of your ankle, malleolus, Achilles tendon and instep for an optimal protection against minor injuries. 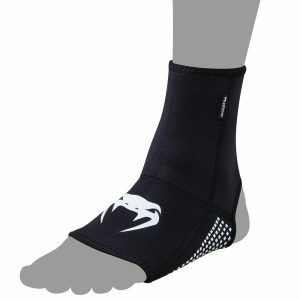 Its Neoprene fabric shapes your ankle and accelerates your muscular warmp-up, decreasing the risk of sprain. Delivering an optimal management of the sweat escape, these Venum foot grips absorb perspiration and reduce the risk of slipping. The Venum Trainer Lite Sports Bag is the most versatile gym bag, ideal for all athletes that need spacious and supportive storage for all their precious gym gear. The Venum ‘Kontact Evo’ Ear Guard is built with neoprene which offers comfort and lightness during training. Its smooth outer fabric reduces skin irritation for yourself and your training partner. Featuring molded shells, this ear guard ensures light protection against impacts during training. The 3-way closure system and its inner rubber bands guarantee an adjustable but secure fit during your ground work. The Venum “Kontact Evo” shinguards contour yours legs and acts as a second strong layer of skin, making them ultra versatile and adapted to a wide range of combat sports: MMA, Muay Thai, Kick Boxing, Karate, Taekwondo. Their flexible hinge – with elastic straps – fits comfortably to anyone of your positions and leg shapes. Thanks to their slip-on design, the Venum “Kontact Evo” shinguards deliver a secure maintain during intense action and enhanced mobility. 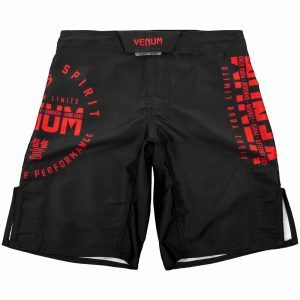 Especially designed to answer to the fighters’ expectations, the Venum “Kontact Evo” knee pads offer anatomical padding to contour your entire knee. 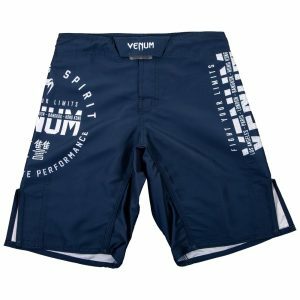 Ultra-lightweight, sleek and flexible they guarantee unrestricted and smooth movement during stand up and ground fighting. Featuring flexible mesh zones at back of knee the Venum “Kontact Evo” knee pads deliver superior breathability and benefit from a soft-feeling interior lining for unparalleled comfort.